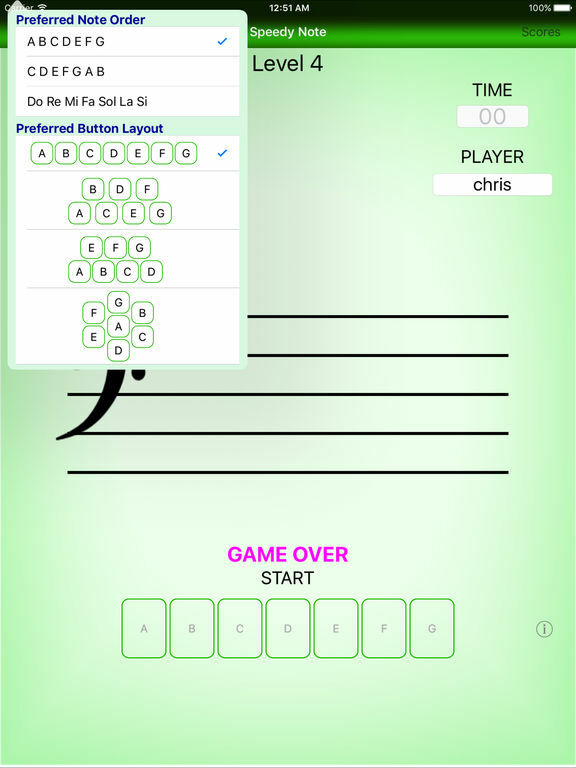 Speedy Note - Bass Clef Sight Reading teaches you to read the Bass Clef (F Clef) in an interactive, fun and competitive game environment. 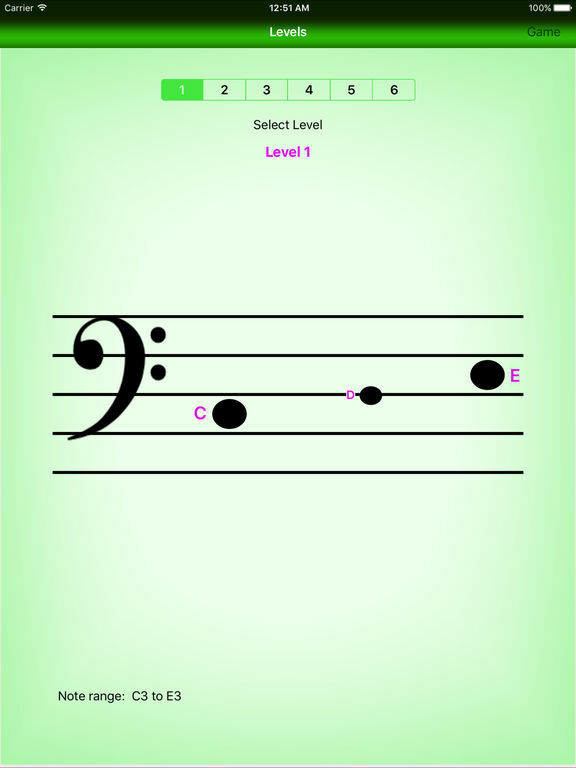 Great for beginners to advanced, children or adults. 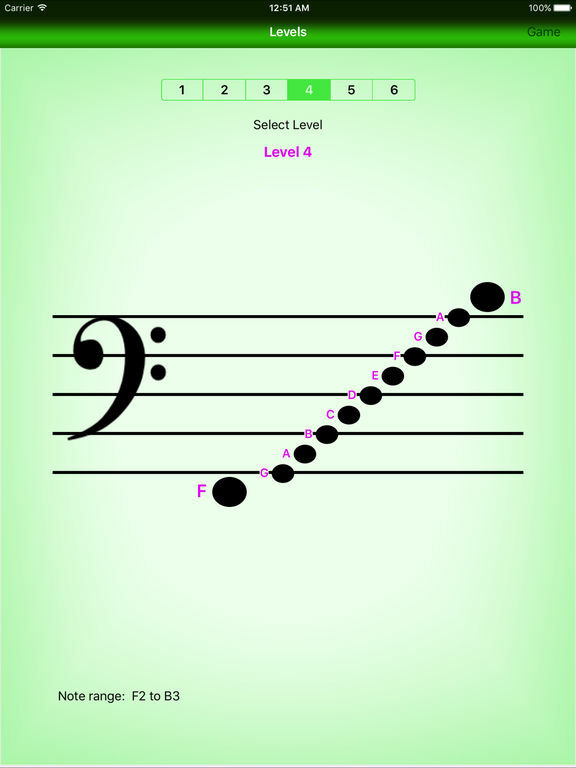 Master the six levels and you have mastered the Bass Clef! Compete with yourself or with your friends. 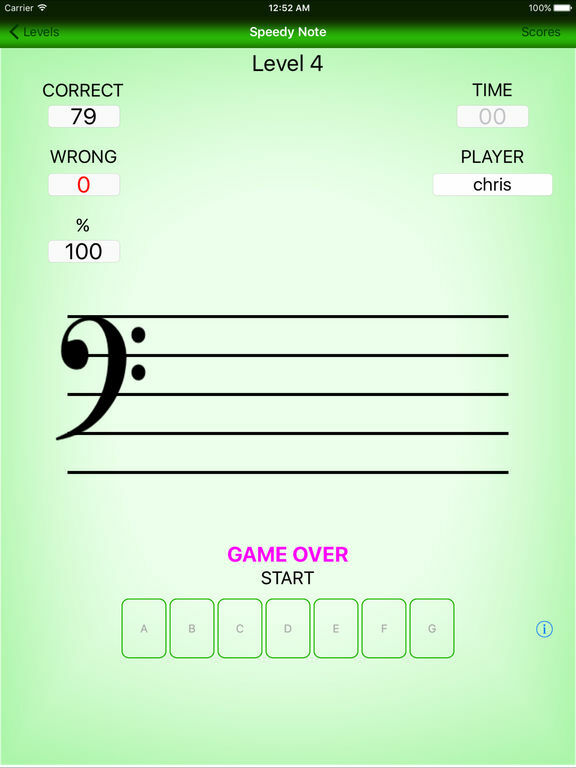 Speedy Note tracks your scores and lets you know how you are doing. 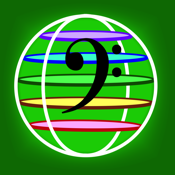 Speedy Note - Bass Clef is very intuitive. It only takes a few moments to learn how to use (even for young children).